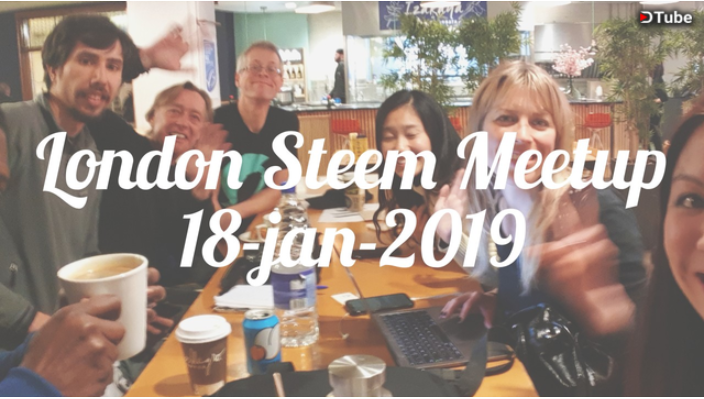 It's time for the 2nd London Steem Meetup of the year, fitting it in just before the short month of Feb comes to an end! 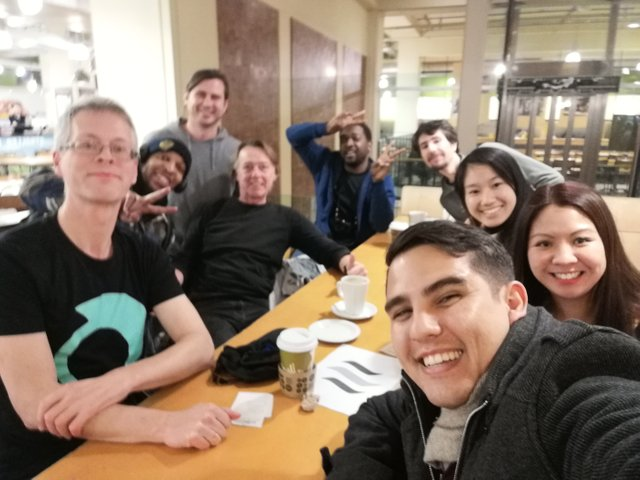 We can come and go as we please, without anyone breathing down our necks if we stay for "too long"
For those who've never been to any Steem Meetups, I can bet that you will be surprised by who you meet at one. 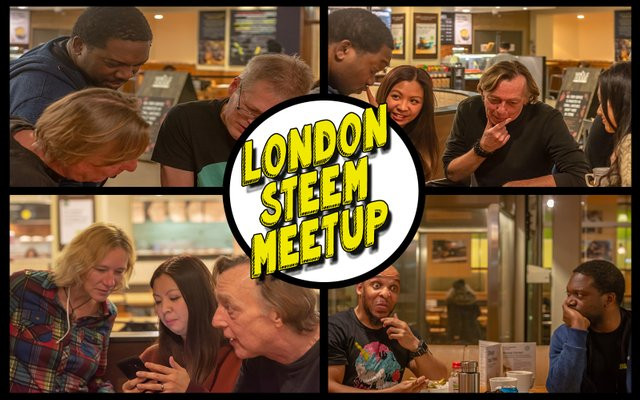 Check out the compilation video (click the pic above) I made showing some of my (or other's) pics from some of the awesome London Meetups we had in 2018 until now! You are very very welcome to join us! 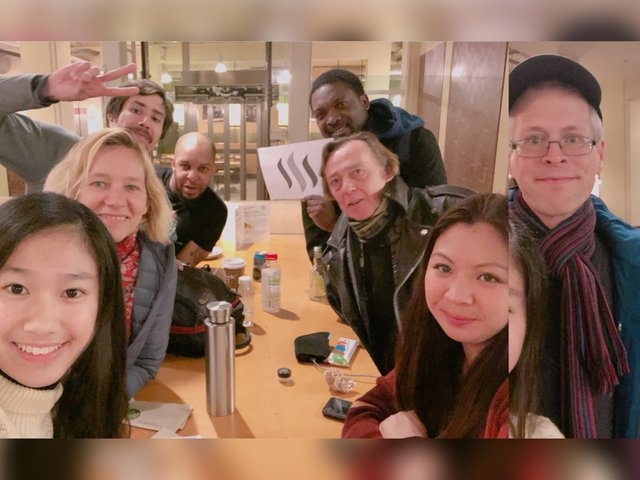 Especially if you're new on Steem or new to the London Steem Community. Hope you do decide to join us! Niiice!!! I'm really really really going to try to make it to this one :D Whiiieee! Yay!!! Hope this was enough notice this time :) Let's chat more privately if it's looking likely to happen, so I can make sure I can accommodate you at my place! :D Would be fun to see you again! wish i was there .. would be great to join you all ! Thanks @pennsif! Was going to message you to let you know, but you beat me to it! If 'work' allows it I'll extend my social visit to Kent in 2 weeks time to include this! Heading down for the Friday b4... with luck I can stay down for a week and take this in! I'll try to at least get there for the evening, but I've got holiday to use up, so make take an opportunity for a day out. Ahhh, unfortunately, I won't be able to make it this time as I am already going to Belfast for a concert and weekend-stay shortly after that. But I will definitely try to make it the next time! Thanks for tagging me @redrica! Your UA account score is currently 4.871 which ranks you at #1265 across all Steem accounts. In our last Algorithmic Curation Round, consisting of 208 contributions, your post is ranked at #27.